If you are thinking of the best way to dispose of your damaged or unwanted car, then there is no better option than Cash My Car. 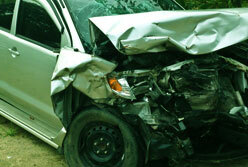 We are one of the top Mazda car wreckers in Auckland and provide a quick, friendly and professional service. We help you get rid of your car while providing you with the best deal possible. It couldn’t be easier and the best part is you don’t have to go through the stress and hassle of trying to sell your car yourself. Even if using our service is a completely new concept for you, we have many years of experience and make the process so easy you have nothing to worry about. From providing a valuation to coming and removing your vehicle for free, it’s one of the best ways to sell your car quickly and for the best price. In today’s fast-paced world, we are always looking for ways to save our precious time. It’s no different when it comes to selling or getting rid of your car. Trying to wait around for the perfect buyer is not only time consuming it’s also hard work. However, thanks to Cash My Car you no longer have to worry about it again. In addition to saving you time, we are able to save you a lot of effort and hassle. With an experienced Mazda wrecking company by your side, we do all the hard work on your behalf so you get to relax and get some quick cash into your hands sooner. Just like the point which has been outlined above, choosing to scrap your Mazda parts with Cash My Car also means being able to choose the exact day and time for collection. You are in control every step of the way. This ensures you get a service that meets your needs and is convenient for you. All you need to do is submit your request via our instant quote form and we can arrange a time to come and pick up your car. From there we take care of the rest and pay cash on the spot to you on pick up. If you consider yourself to be an environmentally friendly person, then our Mazda removal service will not only appeal to your wallet but also your greener side. By choosing Cash My Car, you can rest assured that your car is dismantled and scrapped in an ethical and environmentally friendly way. Get cash for your Mazda now! Cash My Car is the largest Mazda wreckers company in Auckland. 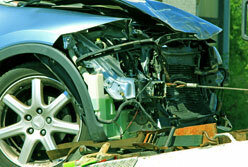 We do all the dismantling ourselves so don’t resell your vehicle or scrap car onto other car wreckers in Auckland. 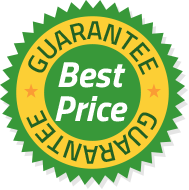 This means we can guarantee you get a premium cash for cars Auckland price. You get more cash and a better service, guaranteed! We have multiple tow trucks running out and about running daily and provide a free Mazda collection service. We can pick up your car on the same day you get in touch. We don’t just buy certain types of Mazda vehicles. Because of our large retail buyer network, we pay top prices for all Mazda models. Car damaged and not insured, or would repairs cost more than the car is worth? 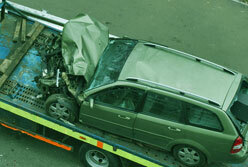 We will pay the best cash for cars price for your wrecked car, it couldn’t be easier! If your Mazda vehicle has been written off or doesn’t run anymore or is in pieces don’t throw it away. You might be surprised at how much it’s actually worth!